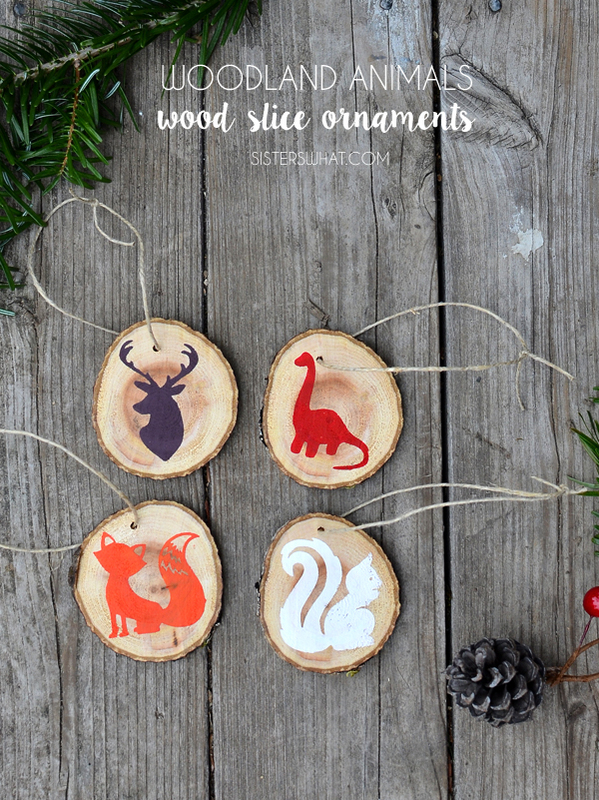 ' DIY Woodland Animals Wood Slice Christmas Ornaments - Sisters, What! 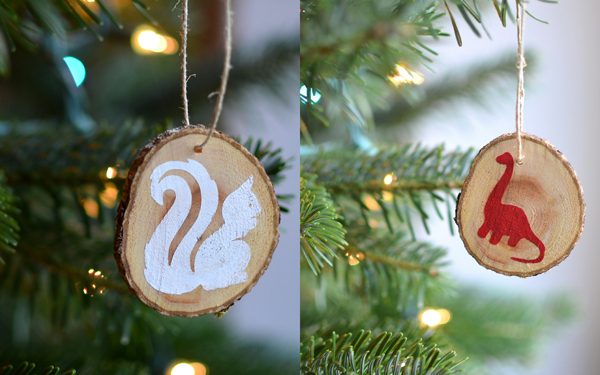 These really fun ornaments are probably worth $25 a piece. No, really they are. Let me tell you why. 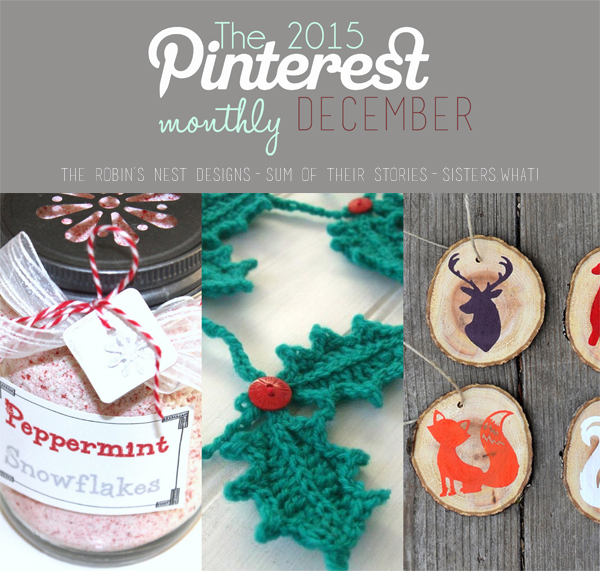 I've been wanting to try a fun wood slice project for a while and I thought ornaments would be perfect. I found them at Joanns for like 4 for $2 and almost bought them. But then I realized we had some thick sticks out back that I realized would be perfect. So I did what I always do, I asked my husband if he would cut some for me. He obliged and I went out back with him to pick out a good piece of wood. However, just after cutting 4 pieces with the miter saw, he the blade hit a really bad knot in the wood and wood went flying. Long story short, he broke his finger and we went to the ER which cost us roughly $100. So, they ended up being $25 a piece. I felt pretty much terrible and didn't do anything with the wood slices for a long time. 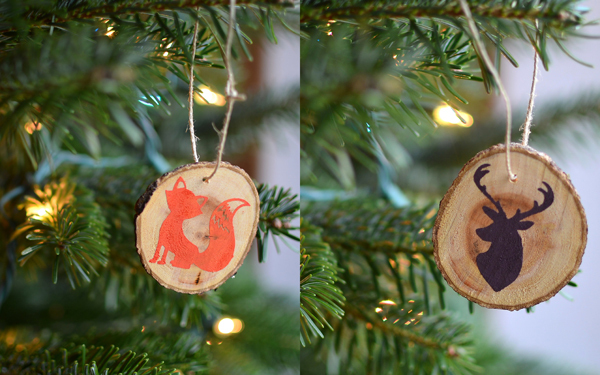 But now I did and they are hanging on our tree. They will forever be a tribute to my husbands finger. I guess something worse could have happened. I used contact paper as a stencil and with the extra I put it on the other side. 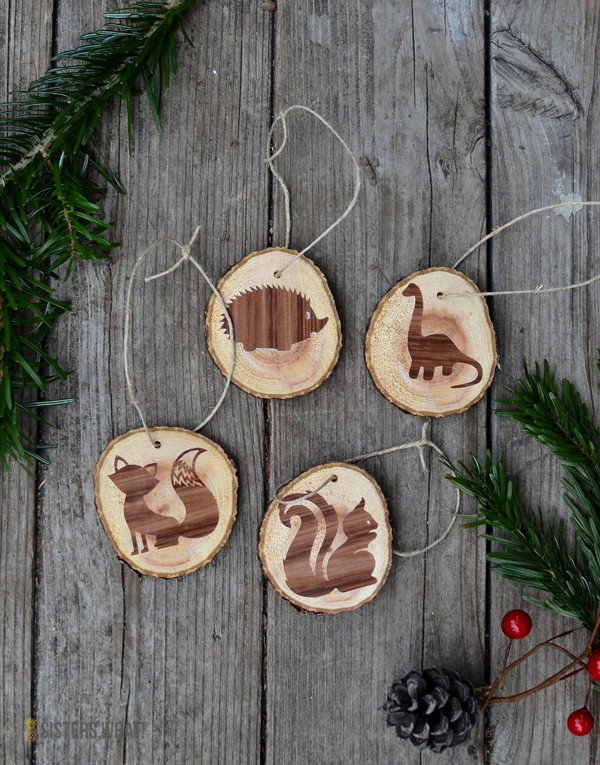 1|| cut your animals with your silhouette onto contact paper or vinyl. 2|| Using the contact/vinyl stencil, paint your animals on. Or if you can't cut them out, you can paint them freehand. 3|| drill a hole and tie a string through it.